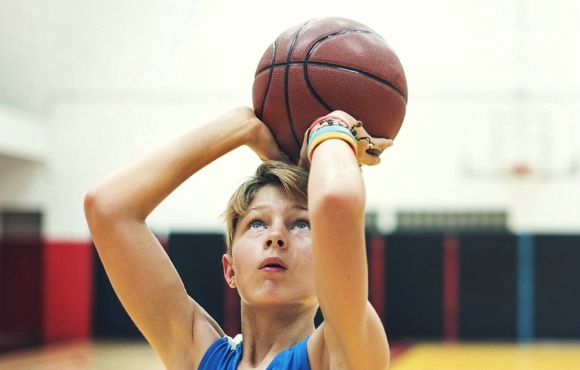 Basketball doesn't have to be a sweaty, competitive game of five-on-five. 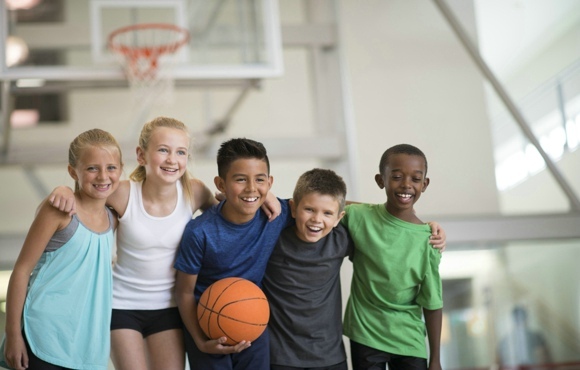 Maybe there are only three children playing, or the game is being dominated by more athletic children, leaving others without the opportunity to play. 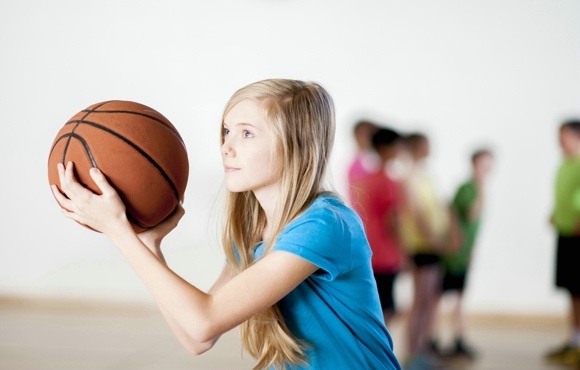 Either way, there are numerous games played with a ball and basket that youngsters of all skill levels will enjoy. 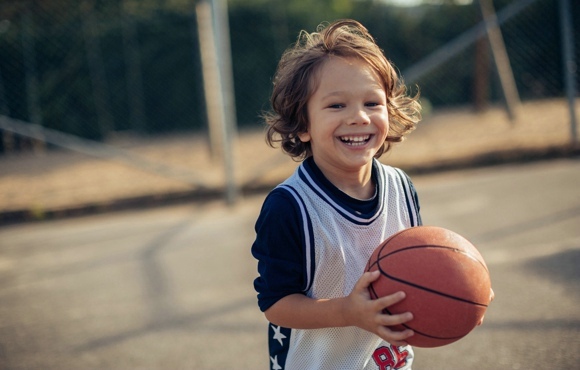 Here are plenty of H-O-R-S-E alternatives kids can play with just a basketball and a hoop. 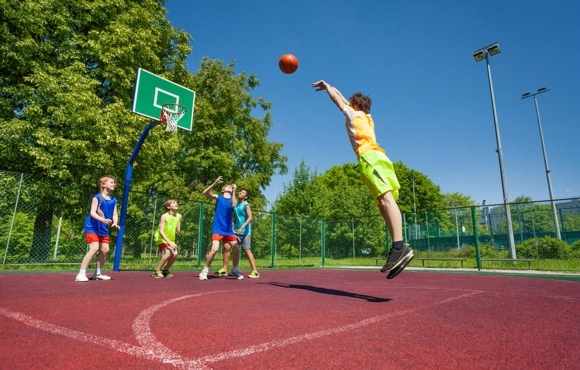 Knock out requires two basketballs and two or more players. The players form a line at the free throw line with the first two receiving basketballs. The first player shoots and if he or she misses, the second player can "knock out" the first player by making the basket before the first player is able to corral the rebound and put his or her ball in the basket. If the first player is able to make the shot before the second player, they pass it to the next player in line, who then tries to knock out the second player while the first player returns to the end of the line. The game goes on until all but one player is knocked out. There are many variations of this game, but this one requires at least two players and one basketball. The object of the game is to "go around the world" by making consecutive shots from predetermined spots around the court. 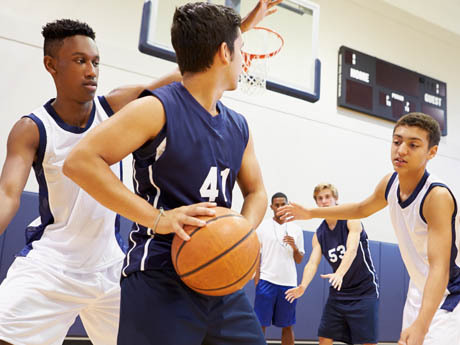 The first player must make a layup, followed by a shot between the basket and the free throw line, a free throw, a 20-foot shot from the wing, a three-point shot and a shot from half court. Once this is accomplished, the player must make every shot again on his or her return to the basket. The game ends with a layup. Normally, the player must make all predetermined shots in a row or start over. But to make the game quicker, allow the player to remain in the spot where he or she missed while the other players take their turns. The player can start again at this point on the next turn. This is a variation of Around the World, but instead of taking turns, all players shoot at the same time until each player has made a basket from each predetermined spot on the court. A perfect merger of that age-old Scottish game and James Naismith's wonderful invention, the object of "golf" is similar to that of links, but on the hardwood. The lowest score wins, and strokes (or shots, in this case) are tallied with every shot it takes for the player to make it in the basket. 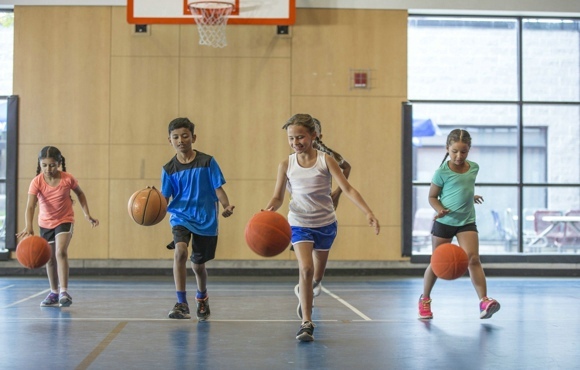 As a game for kids, golf teaches young players to shoot from spots all around the court. The game requires two or more players and one basketball. The first player beings on the first hole, a predetermined spot where he or she must shoot. If the player makes the shot on the first attempt, the score for that "hole" is one. If the player misses that shot, they must shoot from where they grabbed the rebound. The score for that hole is the number of shots it took the player to make the basket. Just like a golf course, you can do this from 18 different spots on the court. The lowest score wins. Like musical chairs but with basketballs, this game requires one ball per player and a source of music. Put the balls in a circle and have the kids walk around the balls while music plays. Once the music stops, the players grab a basketball and shoot. When a player makes a basket, they sits down to show that they are finished. The last player standing is out. 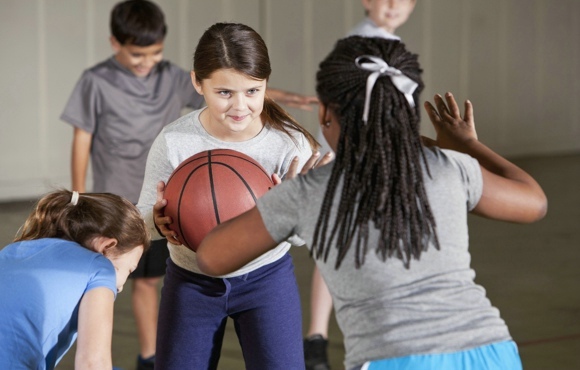 This is a common game with variations played in almost every beginner youth sport. Select one or two players to be "sharks." The sharks will start at the half court line facing the baseline. The rest of the players will be the "minnows" and will line up along the baseline facing the sharks. The sharks will not have basketballs, and the minnows will each have one ball. For the minnows, the object of the game is to dribble from baseline to baseline without their ball being stolen or knocked out of bounds by a shark. For the sharks, the object of the game is to eliminate as many minnows as possible within each round by stealing or deflecting their ball out of bounds. If a minnow loses their ball, they will become a shark in the next round. The round stops when each minnow has successfully made it across to the other baseline or has been turned into a shark. The last minnow remaining is deemed the winner, and the game stops when all minnows have been eliminated. The last one or two minnows remaining will serve as sharks for the beginning of the next game. To play this baseball-inspired game, first divide the group into two even teams: a dribbling team and a shooting team. The dribbling team will have a basketball and will line up at one of the corners of the baseline. 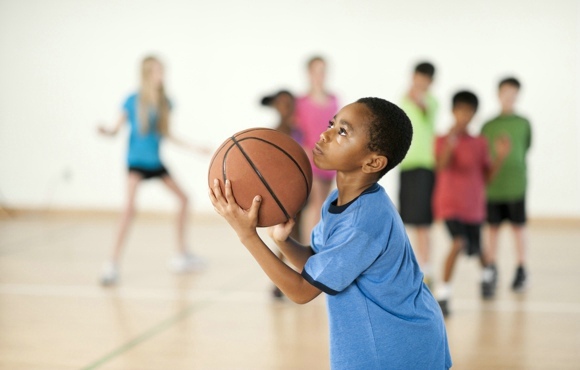 The shooting team will have one or two basketballs and be lined up at the free throw line or closer depending on the age and skill level of the players. 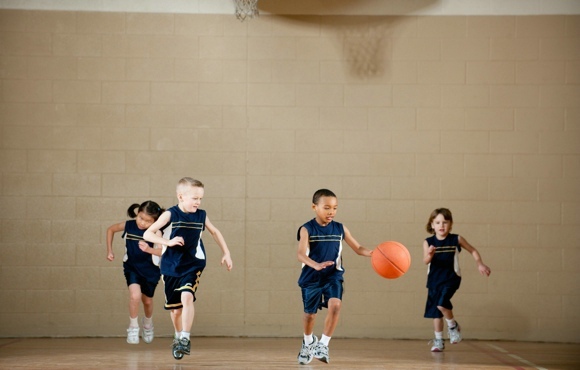 The dribblers' object is to make a "home run" by dribbling the basketball around half court and back to the line. The shooters' object is to make the shot to get the dribblers out. If a shot is made, the shooters call out "stop," and the current dribbler freezes and the next dribbler may begin. If the dribbler makes it home, they get one point and return to the back of the line to run again. Continue until every dribbler is out and then switch team roles. The team with the most runs wins. To play this game, all the players must spread out on a line on the court (baseline, sideline, three-point line, etc.). One or two players will be the designated taggers. Players who are not taggers will each have a basketball. Each player has to remain on a line at all times throughout the game as the taggers attempt to tag the other players who are not "it." Those who are not "it" will try to avoid being tagged by the taggers while remaining on the lines and dribbling the ball. If a player who is not "it" gets touched by a tagger, steps off of a line or losses control of their ball, they are "out" until the next game. The last person who has not yet been tagged is the winner and the game restarts with the last one or two players to be tagged starting as the taggers. How low can you go while dribbling a basketball? For this game, two players hold a long stick or pole while the rest of the players form a single file line behind them. Players take turns dribbling under the limbo pole, holding their bodies lower and lower every time. The pole should start out at shoulder height and move down with each round, after every player has had a chance to go through. If a player can't control the ball and make it under the pole, they're out of the game. The player who is able to go the lowest wins. Divide your group into two or more even teams. Line up the players at a point just beyond their shooting comfort zone. This could be at the three-point line or half court. Set the clock for 10 seconds, and see how many baskets each player can make before the next player moves into position for their 10 seconds on the clock. The player with the most baskets wins. 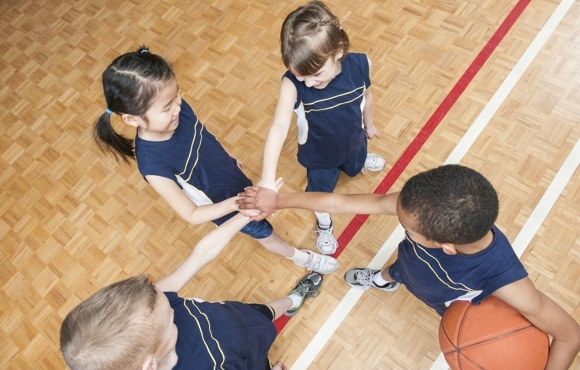 Divide your group into two or more teams and have each group form a single file line behind the baseline. 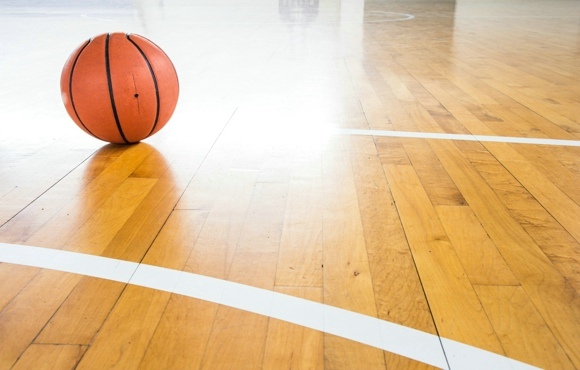 Each team will have one ball, and the first player in line will dribble as fast as they can, while controlling the ball, to the opposite baseline or half-court line and back. They will then hand the ball off to the next player in line on their team who will in turn run their leg of the race. The first team to complete the race and get back to the baseline wins.